A couple of days ago, Ghanaian actress, Yvonne Nelson angrily lashed out at popular Ghanaian presenter Berla Mundi for not only allowing the panelist on her show “the Late Afternoon Show” to criticise and judge her that she has given birth with another woman’s husband, she also partook in crucifying her on her show. Yvonne Nelson dropped the bombshell that if for nothing at all, Berla Mundi has no moral right to judge her because she is also dating another woman’s husband. This damning revelation from Yvonne Nelson has since been the most trending issue on social media in Ghana and it’s about to get worse. 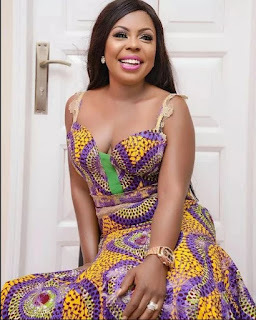 Controversial broadcaster, Afia Schwarzenegger has joined the fray and has swiftly jumped into the defense of Yvonne Nelson. According to Afia Schwar, not only is the Berla Mundi show boring and needless for her to be paid as the show host, her panelists are “nothing ladies” who has the confidence of a 3-year-old child. To Afia Schwar, GHOne TV station can do better than to allow Berla Mundi and her crew mess things up.